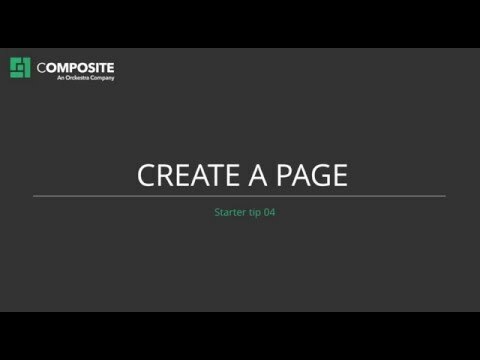 In this section we will examine how to create new pages. Select a page in the page structure. Click Add Page on the toolbar. The new page is now created and content can be inserted. It can have 3 or 4 page tabs and a variable number of content areas. The structure on the page depends on the template it is based on. If a page has more than one content area, users can switch between these areas from the selector on the right side under the Content tab. It is easy to switch between the different areas, and each content area has the same editorial possibilities.